Select the text by dragging across it. 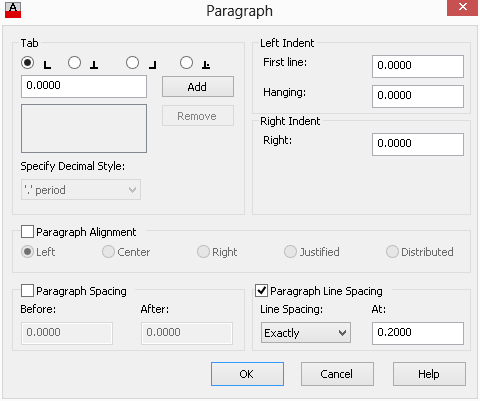 On the Text Editor tab, in the Paragraph panel, choose Line Spacing> More to open the Paragraph dialog box. Check the Paragraph Line Spacing check box. From the Line Spacing drop-down list, choose Exactly. 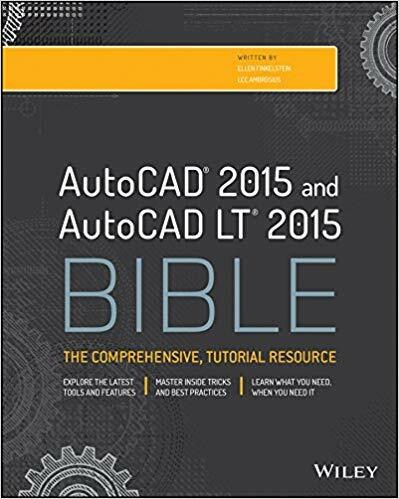 In the At textbox, enter a value. How do you change line spacing? Do you use the Properties palette? Some other method? The trick is…to set the paragraph spacing as a default rather than having to go back and change it everytime you text. I haven’t been able to figure this one out yet. Even MATCHPROP doesn’t help. Any ideas ? You can do a search on my blog for everything I have on xrefs and attributes. See the TSPACEFAC system variable. If you set this to what you want it, it will be the default in the drawing you are working on while that drawing is open. It isn’t saved so you will have to set it each and every time you open or start a drawing, but at least it’s something. 1. And just why can’t I save the TSPACEFAC variable to my file? That is such a pain. 2. I also noticed that if I change the line spacing in in the paragraph dialog box it also unchecks itself after closing. 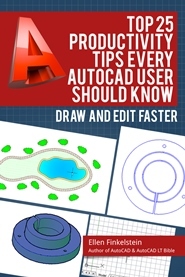 your tips about autocad are very informational. I just did it manually.